Because of you, nine amazing 8th grade girls attended Tech Trek, a residential camp at Stanford University featuring Science, Technology, Engineering and Math. You helped our local girls envision a future in STEM. 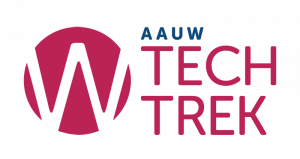 AAUW Healdsburg THANKS YOU for your generous donations.